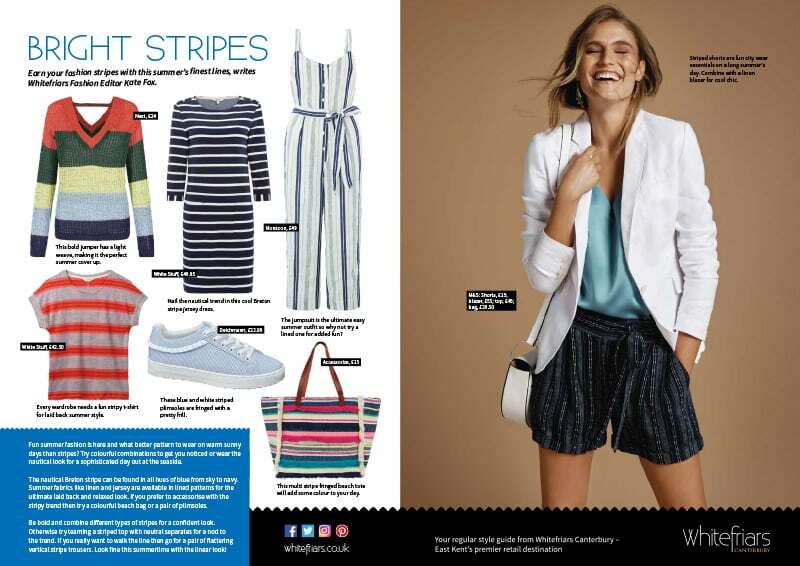 Fun summer fashion is here and what better pattern to wear on warm sunny days than stripes? Try colourful combinations to get you noticed or wear the nautical look for a sophisticated day out at the seaside. The nautical Breton stripe can be found in all hues of blue from sky to navy. Summer fabrics like linen and jersey are available in lined patterns for the ultimate laid back and relaxed look. If you prefer to accessorise with the stripy trend then try a colourful beach bag or a pair of plimsoles. Be bold and combine different types of stripes for a confident look. Otherwise try teaming a striped top with neutral separates for a nod to the trend. If you really want to walk the line then go for a pair of flattering vertical stripe trousers. Look fine this summertime with the linear look!